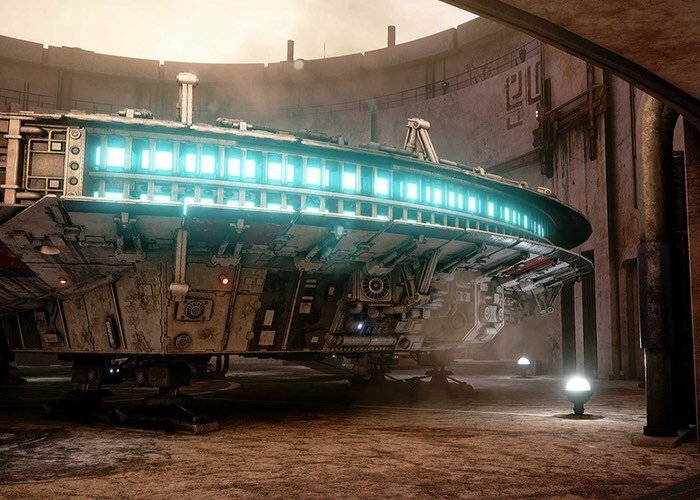 Star Wars fans might be interested in a new immersive Mos Eisley experience which has been created by a team of Obsidian developers and originally started as just creating the Falcon in a docking bay. Check out the awesome video below to see how much detail and work has gone into creating the Star Wars experience in Unreal Engine 4 and allows you to explore the Star Wars universe in more detail. Hello there, my name is Jason Lewis and I guess you could call me the lead of this group project. I am a Senior Environment artist working for Obsidian Entertainment. In addition to myself, the other artists working with me on this project all currently work for Obsidian as well, from additional senior artists, to mid-range and junior artists as well. We even have someone on the QA team contributing some artwork as well. In total there are 17 people contributing to this project in varying capacities. This is a just-for-fun personal project that we are all contributing to for no reason other than we are all a bunch of super Star Wars fans and with all the Star Wars awesomeness going on these days, we all thought it would be a good time to jump in and produce a quality fan art project. In addition to just being a bunch of super Star Wars nerds, several of us have been wanting an excuse to learn Unreal 4 for some time now, so we figured that this was a perfect opportunity. So our Star Wars scene simply started out as me wanting to build a 3D Millennium Falcon. I am a huge Star Wars fan and I have always wanted to build a CG Falcon, but just never seemed to get around to doing it until now. It started out as a simple 3ds Max model, but then I thought it might be pretty neat to see it run in real-time, and since I had no Unreal 4 experience prior to this, I figured this could be a great project to learn UE4 with, so my goal was to build the most highly detailed real-time Falcon that anyone has ever seen, and I think I have pulled it off, except for maybe the Falcon model from the recent ILM X-Labs VR demo that was at GDC a few months ago. Theirs might be a bit more detailed than mine, or at least the two might be on par with each other, but theirs is more accurate to the Studio model from what I have been able to see from online videos, whereas with mine, I took some liberties with the details to make it work better with my scene. Originally it was just going to be the Falcon sitting in Docking Bay 94 so I could run around and look at it in real-time. Then I thought it would be neat to add the interior to the docking bay, and then maybe some of the surrounding Mos Eisley city, then I thought “hey, let’s put the Mos Eisley Cantina in as well!” It was at this point that I realized the scope of this project had grown beyond my ability to finish it by myself, so I extended an invitation to several of the artists working with me at Obsidian to help out with this project in their free time, and I got many very enthusiastic YES responses, so I divided up the work based on the time and effort commitments that volunteers were willing to put into it. We are currently about 90% done, and our ultimate goal is to finish it, and put it up on the internet for people to freely download and enjoy. It’s not really a game, more just an interactive fan art piece. You can run around with a blaster (or a hidden weapon that you have to find) but we were unable to enlist the help of any character artists, so the only characters in the environment with you are a bunch of Astromech droids and a few Gonk droids. We are also working on a VR version as well as several people in the group have been playing around with Occulus and Vive VR kits, and we thought it would be cool to have a version that runs in VR, so we are currently trying to get that finished as well. For more information on the Unreal Engine 4 Mos Eisley Experience jump over to the official article created by the team on the 80.lv website via the link below.